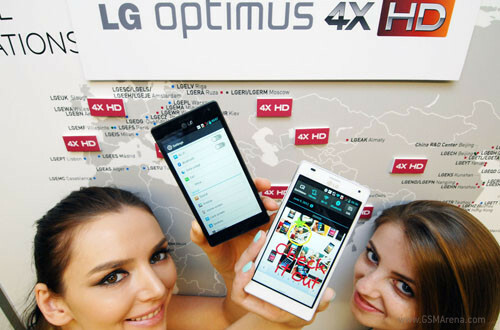 LG announced today that they will be launching their Optimus 4X HD this month in several European countries, including Germany, the Netherlands, Sweden, the UK, and Italy, right on plan, actually. The LG Optimus 4X HD was announced back at the MWC in February, where we got a pretty good look at it. Unfortunately, that was it, as the Koreans have been taking their time with the market release of the smartphone. Germany will be the first market to receive the LG Optimus 4X on June 11 with the other countries in Europe following shortly after. The Optimus 4X HD runs on a 1.5Ghz quad-core Tegra 3 chipset, comes with 1GB of RAM and has a 4.7-inch True HD IPS screen of 720p resolution. The camera on the back is an 8 megapixel unit with FullHD video recording. The smartphone's profile is 8.9 mm and the battery inside has a 2,150 mAh capacity to cope with the demands of the bigger screen and multiple cores. Overall, it seems like a nice match for the like of the Samsung Galaxy S III and the HTC One X.